Designed by local architect John Roberts, this is one of a cluster of his building in the immediate vicinity: City Hall and Christchurch Cathedral being adjacent. 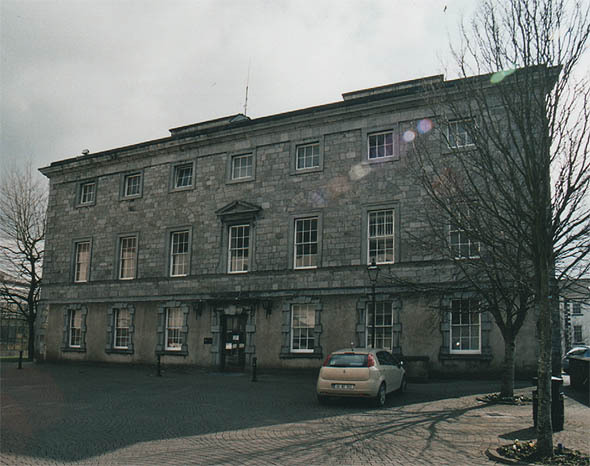 Built in a very austere classicism, it was intended to be the Bishop’s Palace but was later used by Waterford City Council. It has now been extensively restored to showcase artefacts and art from Waterford’s Georgian and Victorian past. The two main facades are quite different: one having seven bays – the central bay having an more elaborate window treatment and a Gibbsian doorway; the other facade has eight bay with a more elaborate entrance and shallow pediment with blank niches.